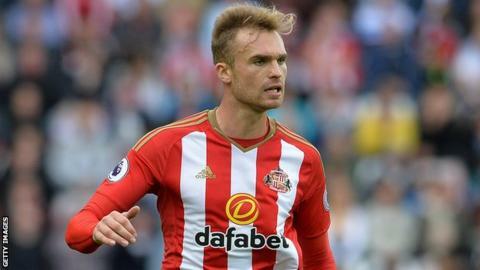 Bolton Wanderers have signed former Sunderland midfielder Jan Kirchhoff on a deal until the end of the season. The 27-year-old German has not played competitively since December 2016 and was released by the Black Cats at the end of 2016-17. Kirchhoff, who can also play in defence, could make his Wanderers debut in Saturday's trip to Norwich. He told the club website: "I'm really pleased to be here and happy to be back in football."